No formal action will be taken by the Football Association (FA) over an incident in the tunnel following Manchester City's Premier League win at Manchester United. Players and staff from both sides reportedly clashed after City's 2-1 derby victory at Old Trafford earlier this month. "Following a review of the evidence provided by the clubs and independent eyewitnesses, the FA will be taking no formal action," an FA statement released on Thursday said. 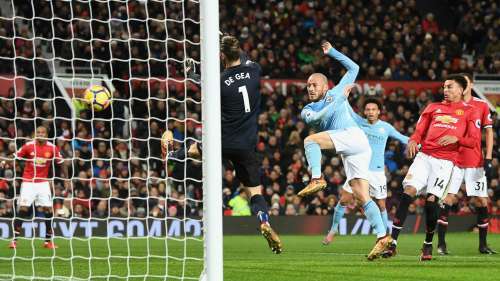 FA statement on tunnel incident after Sunday 10 December’s Manchester derby: Following a review of the evidence provided by the clubs and independent eyewitnesses The FA will be taking no formal action. Separately, Mourinho was asked to explain comments he made to the media in the build-up to the derby, when the Portuguese appeared to accuse City of gamesmanship, saying: "A little bit of wind and they fall." Following the December 10 derby - which City won thanks to goals from David Silva and Nicolas Otamendi to move 11 points clear of United in the Premier League table - Mourinho explained his part in the incident. "The only thing I can say is it was just a question of diversity; diversity in behaviours, diversity in education," Mourinho, who was reportedly splashed with milk during the fracas, told reporters when asked about the alleged flashpoint. "Nothing more than that. That's all I'm going to say."